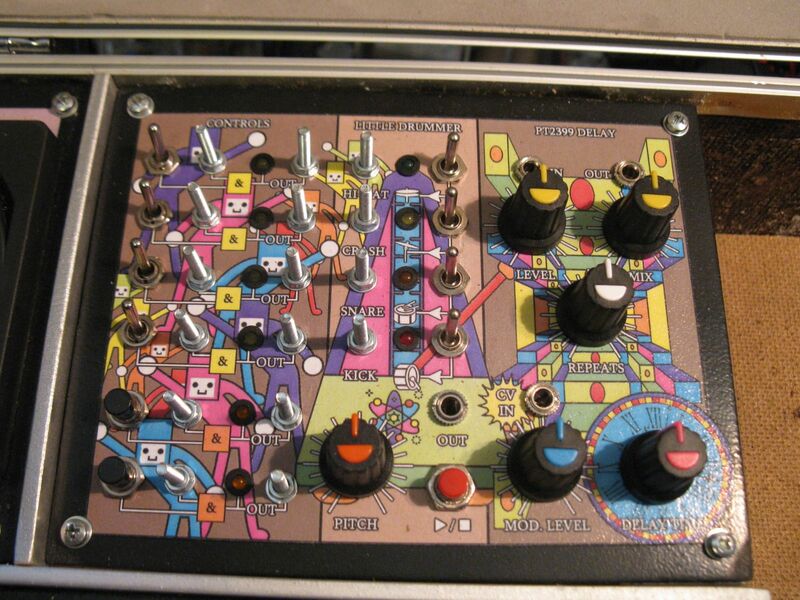 Recently shared with me from a long time lunetta mad scientist and forum member for protecting lunetta from eurorack etc and also protecting eurorack etc from lunetta! I’ve attached their diagrams for input and output protection, please comment if you have any recommendations or Improvements! 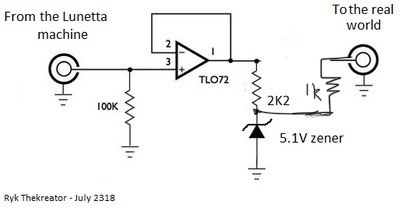 (note: the AND gate is made by just having a switch in series). doesn't have much effect besides wasting current. The above error corrections of yours, were as to my schematics that Colorbars had shared. I remembered that the 2k2-2k7 as per the zener, is for current limiting as to the load that it drops. I had forgotten though, having to take the output from between the resistor and the zener. Thank you for THAT reminder! The other one ... with the diode to Ground to protect from -V "coming in" I hadn't even considered the amount of current that COULD be transferred that way. I believe now, that I had mistakenly assumed, the 100k to Ground impedence for the chip, from the LOGIC world, had applied equally, to the opamp world! Hence ... my often putting them to Ground, instead of in Serial. Here now - the comparator schfematic that you had posted earlier, works perfectly to take care of the +5V points from Euro, that wont do anything in a +12V Lunetta machine. And the "AND" portion, you'd partially clarified but ... 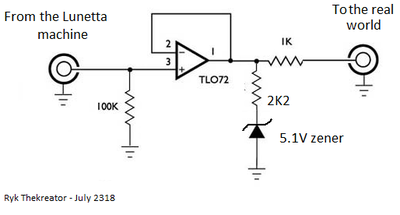 I still can't 'see' the AND function possibility, in the circuit? Sorry ... is it ... my age? Hahahaha. Thank you for possibly correcting my errors! I never mind being shown, when I'm wrong with something! Still learning and always will be. Off to prototype yet more new ideas, from earlier today. form a voltage divider. Oh and I'd use 1K, although 100K will probably work fine too. the switches in series with the input signals. the 2K2 resistor so you can drive a bit more with it. Downside is that it will 'pull more current' from what you connect to the input.